‘Easy to start but difficult to conclude’ yes this words are true when I am talking about Earbuds. Every time I get my hands on a new Earbud, it seems it’s my endgame Bud. But as soon as I try a new one the whole game changes immediately. 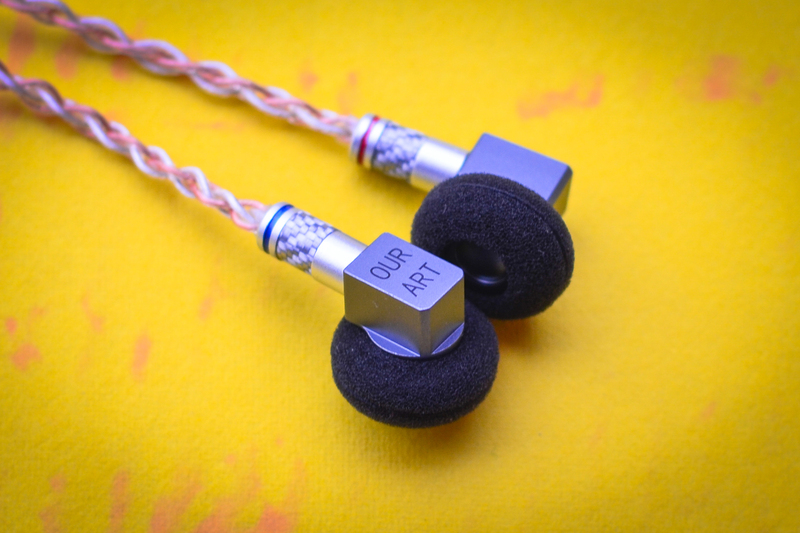 The point is, there is no end of favorite Earbuds and some of them are truly magnificent. This time Penon Audio has sent me the OURART ACG for review and I tried to cast my honest review on this fantastic Earbud. I am doing this review after a burn-in for 100 hours and this bud really need at least 100 hour of burn-in to open up completely. 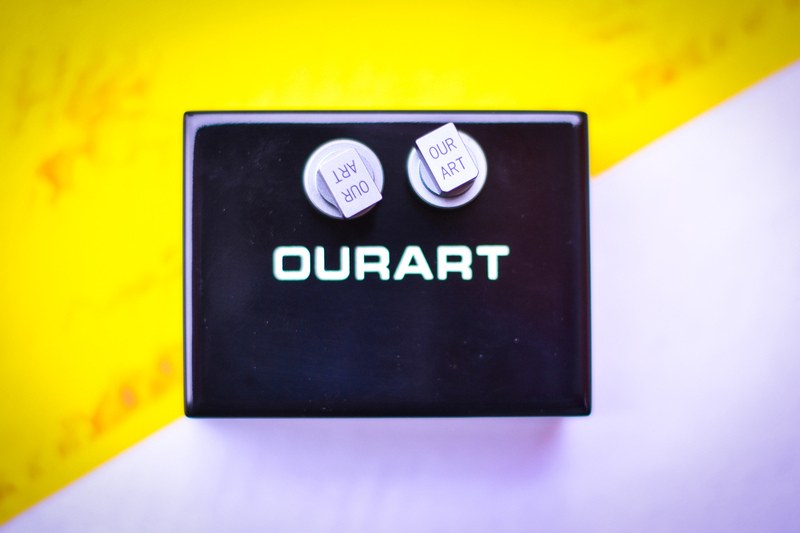 OURART ACG is a 35 ohms earbud but need plenty of power to shine thanks to its 122db sensitivity, still you can run it easily with your phone at around 80% volume. I have used my RealMe C1, Fiio q1 mk2, Fiio q5 to evaluate OURART ACG. Earbuds usually comes in either cheap card board boxes or plastic pouches and its justified because they sometime priced around 5$ to 20$. 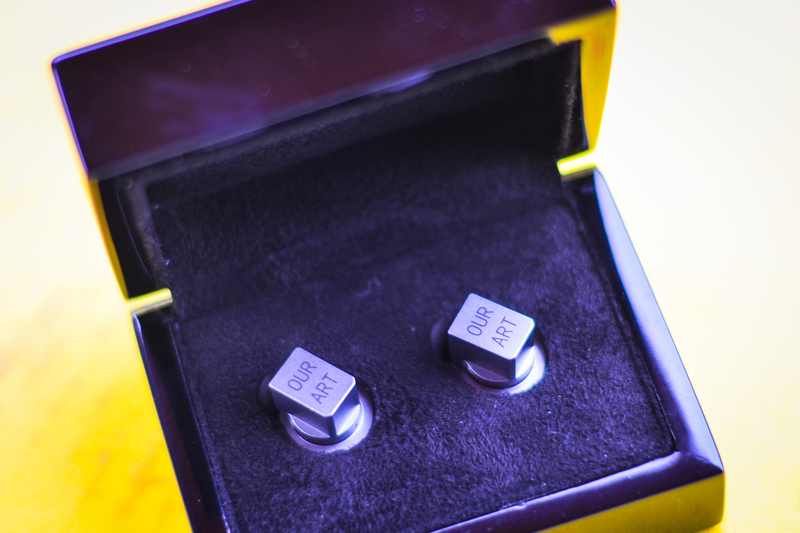 When spending more than 50$ on any Earbud/IEM you can easily expect a good presentation, design and build quality. OurArt packed everything in two different boxes. 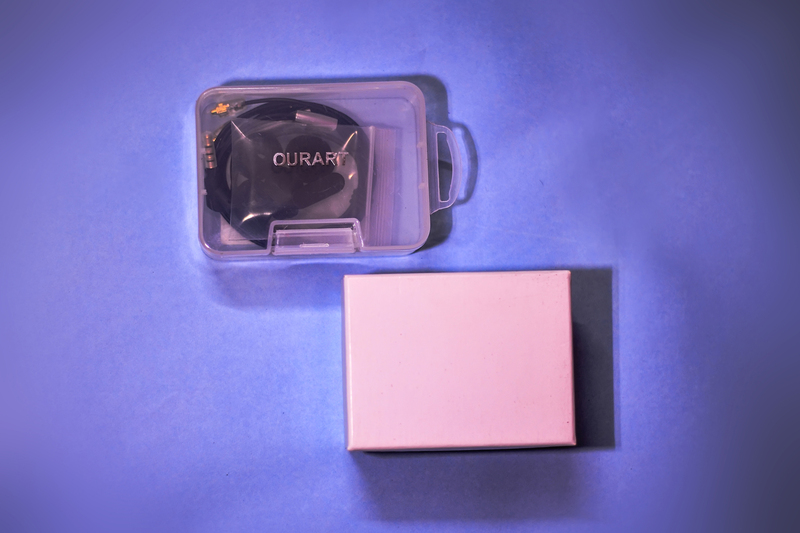 Cable, foam cushions and a shirt clip packed in a transparent plastic box where the Earbuds is in a fancy glossy black Jewelry box. Yes Jewelry box, like that comes with your wedding rings. That jewelry type box is holding the buds firmly and not going to move a bit in transit. So in terms of presentation and accessories thumbs up form me, only missing a carry case. Supplied cable is a Good MMCX cable. I am calling it good because there are really very good things in it. First of all the angular 3.5 mm audio jack like we familiar with Bose earphones , this angular plugs even works better than ‘L’ type in practical situation. While your device in your pocket; this type of angular plug is very helpful. The cable is made out of soft rubber type of material, the silver colored splitter and in line controls buttons really look beautiful on it. In line controls working fine (Single click play/pause, two simultaneous clicks for next, three rapid clicks for previous track, Top and bottom for volume +, - ) on my android phones . Call quality of the microphone is also good. 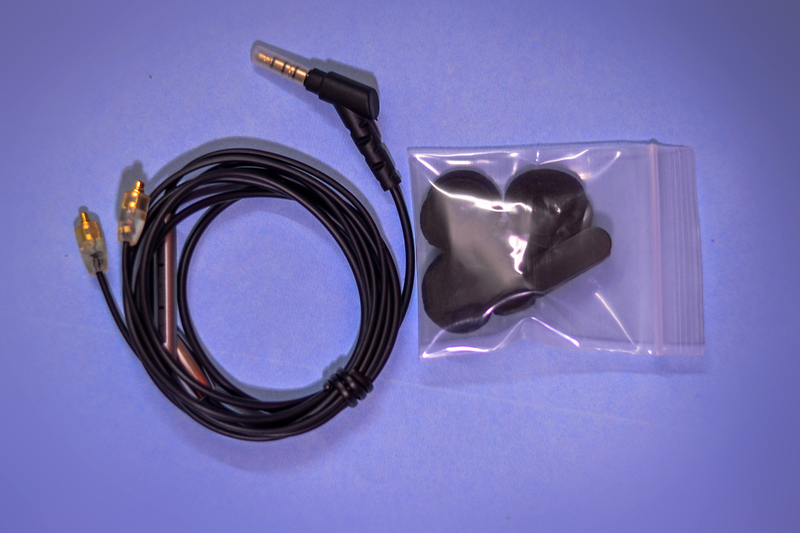 MMCX plugs are also very high in quality, I have tried this cable with my other iems and it worked very well. Just a gentle push and snap, but I am missing the silver/black touch on those plugs. 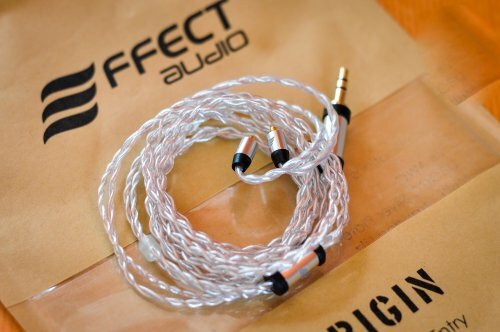 In seller’s product page, it is clearly mentioned that changing cables effect sound signature of ACG and I have noticed same thing and will discuss this later in this review. Thanks God, no more plastic shell in Earbuds, the build quality is best I have ever seen in any Earbud. 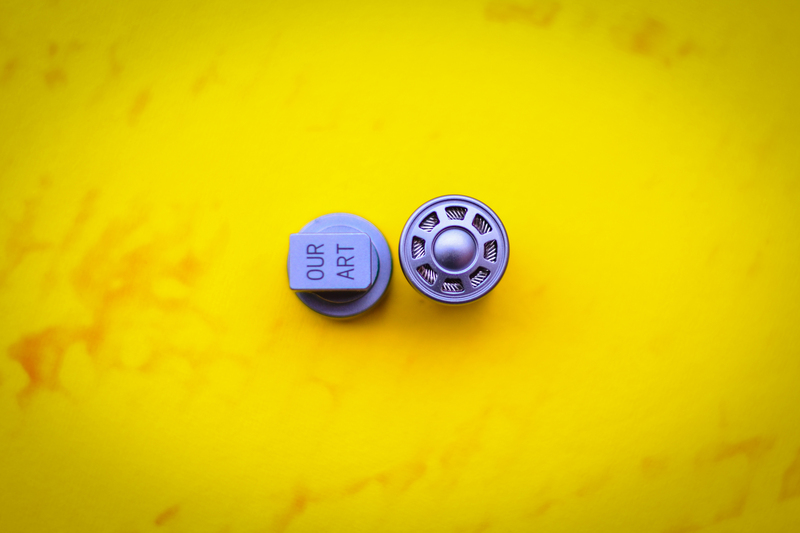 OurArt ACG completely made out of metal and machined such a perfect way that not a single mark of imperfection on them. ‘The shape is inspired by the running wheel hub’ yes true it’s like a running wheel design. Front side vents are wide open and you can see through the drivers easily. There are 4 holes back of the bud to normalize air pressure inside the Earbud. OURART branding on the buds are clearly mentioned but no ‘L’ or ‘R’ marking which is sad. I even tried wearing it over the ear like most of the iems and worked very well. So very much satisfied by the design and built. Judging the sound of OurArt ACG was interesting. Like my other buds I let it burn-in for 100 hours using 1more Smart Burn-in Android app and started listening. It was my daily driver for past 20 days and wants to share some minor things before jumping into the sound analysis. 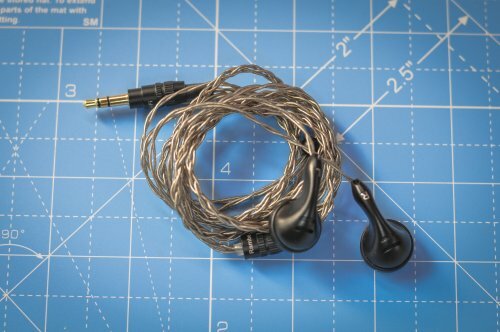 Firstly most of my Earbuds are made out of EMX500 shell and the face diameter of ACG is smaller than EMX500, as a result I have to put two donut foam tips or wear it over the ear. Those who complain that EMX500 shell is painful for them, I can assure this ACG shell will be helpful for you guys. Second thing is sound leakage, though we all know Earbuds leak sound a bit but ACG sound leakage is higher side. Maybe the wide open vents are responsible for it. Ok let’s see how ACG performed. 14.2 mm driver is generally pretty large enough to produce good amount of lower frequency but ACG’s ‘ultra-thin titanium crystal diaphragm dynamic driver ‘is not for heavy bass. Don’t think there is no bass at all; instead I can call it light Bassy Earbud. The quantity of Bass is less but quality is actually very good. Bass is fast, accurate. The bass is rather Mid-bass rather than Sub-Bass; therefore it’s much punchier. The rumble is not there still the accuracy impressed me a lot. Both the songs ‘Dreams’ by Fleetwood Mac and ‘Instant Crush’ by Daft Punk is quite enjoyable. 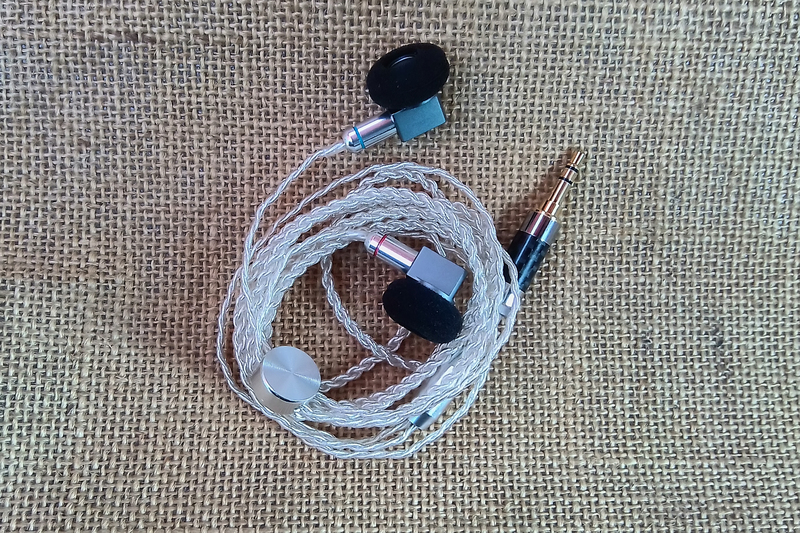 Sudden jump from a Bassy earbud/iem may feel that ACG is bass shy but after finishing few albums, the punch of bass in ACG proved how mature it is. In addition I have tried to cover the 4 back air vents with tape but no such improvement bass response noticed. Use of a third party hybrid cable improved the bass region a bit so I highly recommend a high quality hybrid cable with OurArt ACG. Mid range where ACG nailed it all other Earbuds I have. Mid range is transparent and natural; no coloration at all. Easy to hear and every no note is crisp and well articulated. Male vocals are a bit emphasized than female vocals. I don’t have any measuring equipment but I can say a good amount of Brilliance is there and sometimes it creating a sense of aggressiveness. The speed and precision on vocals are unmatchable in any Earbud I have tried till now. All the songs from Ed Sheeran’s ‘÷’ sounds delicate and live like. Nina Simone’s ‘Don't Let Me Be Misunderstood’ is sounding just perfect, lots of emotion is there. Really enjoyed the song ‘Talking To The Moon’ by Don Henley. Upper frequency is well extended. It is clear that OurArt is tuned keeping mids and highs. Treble part is airy and adding enough crispiness when it needed. No Sibilance is there at all. The presence of sparkle is adding a sense of shimmer therefore very tasteful. No noticeable spike noticed while listening. The song ‘ Sun is Shining’ by Bob Marley is one of my favorite and the upper frequency part is enjoyable with only good iems , this time OurArt ACG rendered the song very well . Soundstage in Ourart ACG is very very good in terms of width and depth. It is really unbelievable such kind of headphone like soundstage in Earbud. Imaging is also very good and accurate; it performed with busy and complex tracks very well. In the song ‘Oh Daddy’ by Fleetwood Mac on ACG is enough to prove it’s real potential. Instrument separation is also very good. When talking about ACG the oblivious question is going to come, ‘What is the difference between OurArt ACG and OurArt Ti7?’ Actually I can’t answer this question directly because I don’t have the Ti7 unit. These tow buds look really similar and specs are also almost same. In the product page of seller OurArt mentioned a short comparison chart between this two buds, and as the characteristics mentioned by OurArt for ACG is true I believe the comparison should also be legit. So here it is for reference. In terms of price to performance ratio, OurArt ACG performed way better than its price. Tight bass, natural mids and sparkling treble that’s what I prefer and OurArt ACG just did it for such a trivial price. Wide soundstage and well execution of micro details in a well built Earbud , what else a Earbud lover want ? may be nothing more. jibberish, DBaldock9, Mboom and 3 others like this. No L / R marking? Well, they are perfectly identical and symmetrical. L / R side is actually determined by the cable. Many cables, including the one that comes with ACG, have a dot tactile indicator on the left connector. That indicator really helps in the dark. Lucser and Palash like this. For the ACG itself, they have amazing, transparent imaging. Soundstage is not the widest but actually quite natural. The mid and subbass is a bit recessed for my liking. But all in all, it's the best I currently have. Not sure where to go after the ACG. In my cable , L and R mentioned but not in buds. ACG is also one of my best till now.